Someone once looked at me in shock when I told them my family is Irish (the obvious name didn't tip them off). "But you don't have red hair!" This made me sad because a) they were clearly an idiot, and b) I really wish I were a red head. I dyed my hair to a beautiful copper in high school, but the dye was discontinued. Every dye I've tried since gives up on changing my brunette locks. I certainly don't have the money to keep up a professional dye job, but deep inside, I pretend I'm a red head. I'll just have to live vicariously though these women. 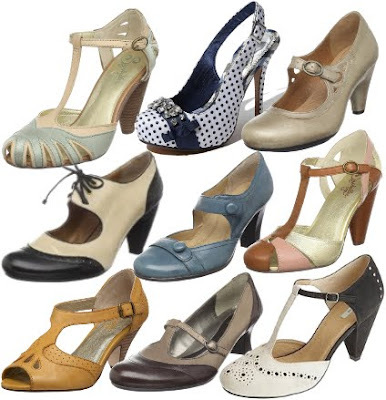 Clockwise: luscious Christiana Hendricks, radiant Julianne Moore, Allison Hannigan a.k.a. Willow Rosenburg, adorable Amy Adams, Debra Messing with her bouncy curls. 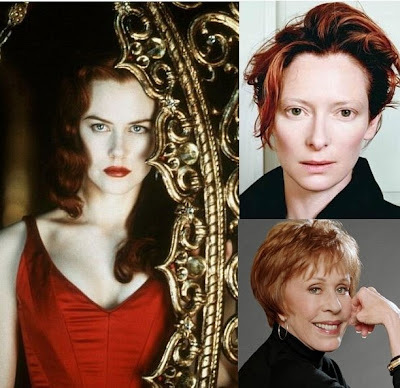 Clockwise: reigning ruler of androgyny Tilda Swinton, classic comedian Carol Burnett, Nicole Kidman in her far more sultry red-haired phase. 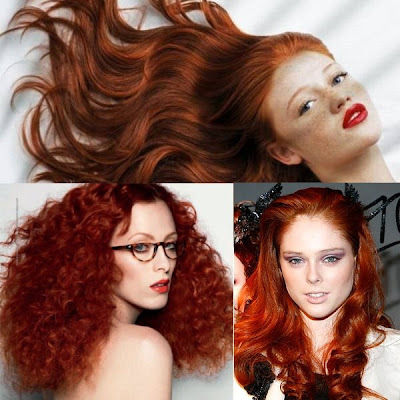 Clockwise: freckled Brazilian model Cintia Dicker, sometimes red-head supermodel Coco Rocha, runway queen Karen Elson. 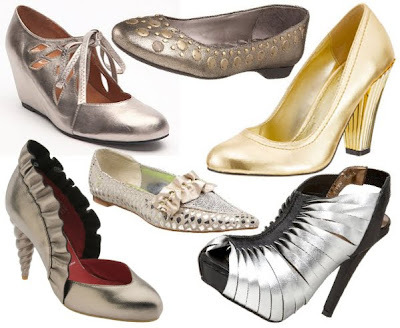 Clockwise: make-up blogger Doe Deere, English rose model Lily Cole, the ever-fabulous designer Vivienne Westwood. We've left off a ton or famous red-heads. Who are your favorites? My brother still gets miffed when I bring up Lindsey Lohan's hair. "Because there weren't enough blondes in Hollywood," he says. Nicole Kidman's hair in Moulin Rouge...there was something so alluring about it. Lauren Ambrose, a.k.a. Claire Fisher from Six Feet Under! Her hair is so great it makes me want to go red again. That's a good one, Petula! The cover of my Entertainment Weekly reminded me that I forgot Julia Roberts. Use Henna! Its great for your hair too! Just make sure it is good quality. you should really try Henna!! I used it for years and years, you have different shades, from deep red, auburn, to the most light tint of red. It's cheap AND it really keeps your hair healthy. Hope my comment will help! Red heads are in the minority in Ireland just like they are here. It's a recessive trait! That person must really have been an idiot... Great post! It's easy to become a red head on a budget! Use henna to dye!!!!!! Actually, Christiana Hendricks is blond :P She dyes her hair red, but it still looks good. I have very dark hair naturally, and I dyed my hair red in high school with a Garnier color that was eventually discontinued. I stopped dying it when I couldn't find my color anymore, and when I tried to go back to red years later, I tried so many different red dyes, and none of them got me even close. But then I tried L'oreal Feria Copper Shimmer #74, and my color looks better now than it did in high school. Don't give up on going red again!